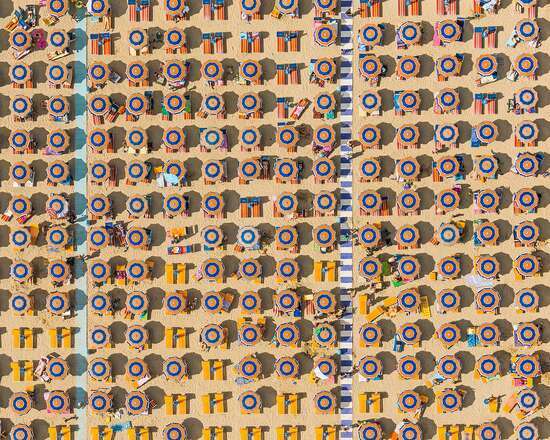 With colourful parasols arranged in geometric patterns next to the shiny turquoise of the Mediterranean Sea, Bernhard Lang’s photographs present beach life from an extraordinary new perspective. 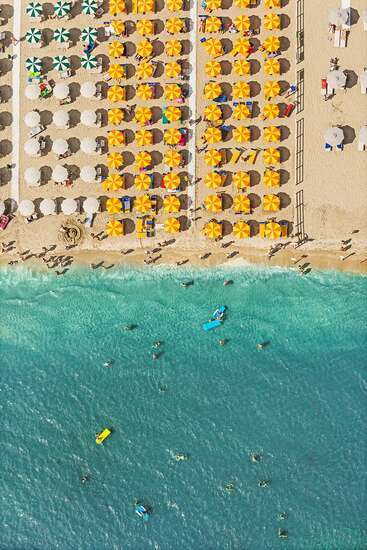 His aerial shots reduce the holiday scenery to two-dimensional shapes and colours. 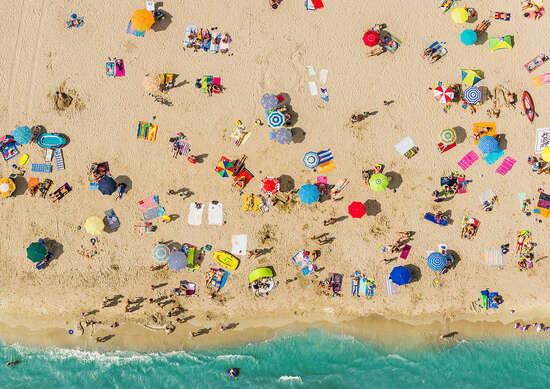 The order and structure that are visible from above remain hidden to the throngs of beachgoers below. 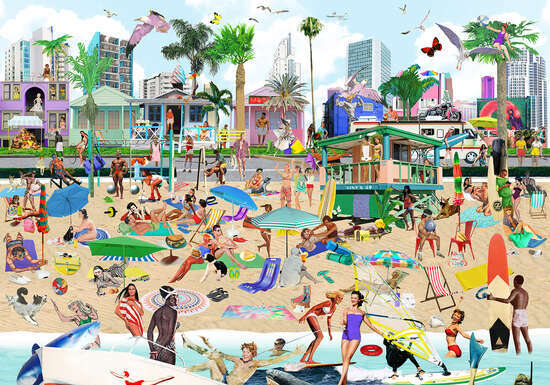 At the same time, the images are like hidden object puzzles – gradually the viewer notices new details amongst the parasols and in the water. 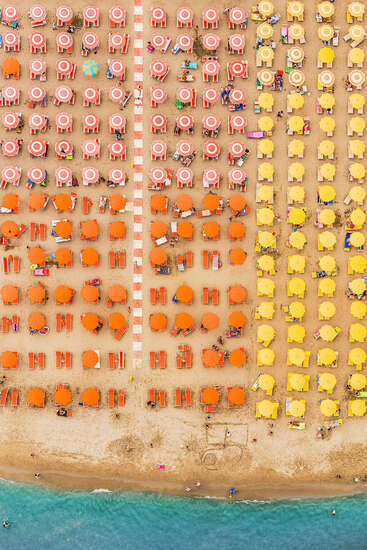 It is this tension between the two-dimensional, almost painterly abstraction and the attention to detail that produces the unique aesthetic appeal of Lang’s photographs. 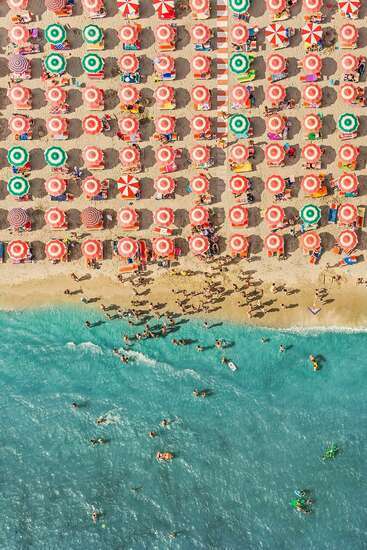 Bernhard Lang hails from Munich and has been a successful photographer for more than two decades. Since 2010, he has devoted himself more and more to aerial shots. The result is the extensive, multi-faceted project aerial views, which includes the Adria series. The diverse subject matter includes tourism, industry, and transport. In addition to their structural aesthetic, the pictures often carry a critique of civilisation. 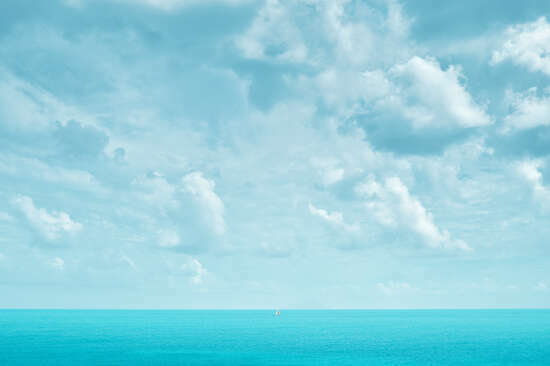 The relationship between man and the natural world is a recurring theme throughout the series, highlighting the extent to which mankind has appropriated his environment. 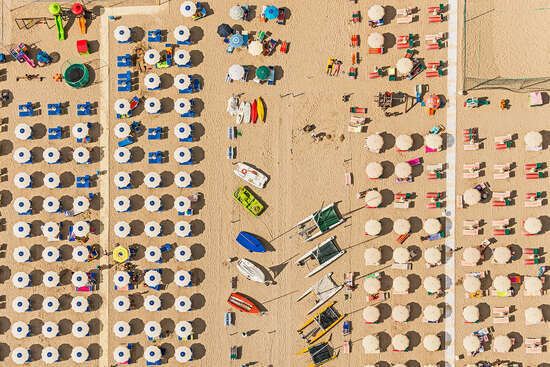 No risk is too great for Bernhard Lang in his efforts to capture these breathtaking shots. 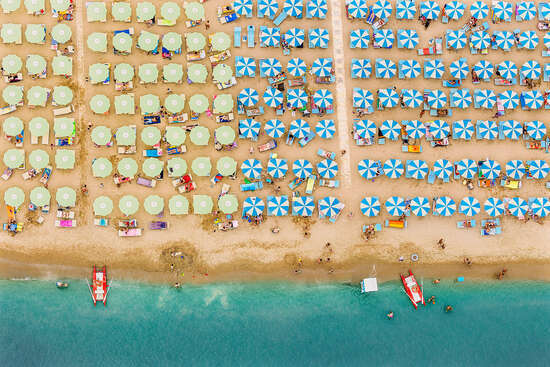 These award-winning images are taken at a 90 degree angle to the earth’s surface. To do that, Lang leans out into the open air from a self-chartered helicopter or light sport aircraft to press the shutter on his camera – at heights of up to 1,000 metres! 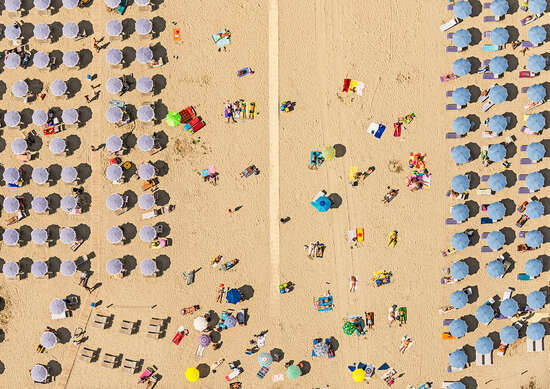 The distance from the ground allows a global view of everyday life. Photography becomes an adventure.